New York Times bestselling author Lisa Kleypas delivers a scintillating tale of an unconventional beauty who finds passion with the spy who can’t resist her. Hello Stranger is the fourth installment of The Ravenels series and can most certainly be read as a standalone. While I have read the majority of Lisa Kleypas's backlist, I had not read any of this series, and I had absolutely no difficulty falling into the story. I had no confusion reading this as a standalone and look forward to going back to book one and working my way through the series. Hello Stranger starts off with a thrilling scene, drawing the reader into the story from word one in an innovated way. Our hero and heroine have had previous encounters. However, since this was the first I've read, I don't feel short-changed with how Kleypas released the previous information about their encounters without doing an info-dump. Garrett Gibson is the first female doctor in England, in a time when women were not seen in the same light as men. She was logical, non-emotional, no-nonsense, but written in a manner that does not make her seem cold. I immediately identified with Garrett, which had me emotionally invested in the character and the journey. I appreciated that Hello Stranger didn't concentrate on balls and trapping a man in the marriage mart, befitting the characterization. Ethan Ransom is an interesting character, with a mysterious backstory. He's as practical and efficient as the doctor but has a red-blooded, passionate streak. Trained to do the jobs in which most would not succeed, Ransom tries and fails to disconnect from his humanity. Garrett and Ransom are drawn together, bringing out portions of human nature they both suppress due to their professions. Their romance felt real, with a slow-build, high tension, and sizzling passion unfolding organically throughout the story. They're tested, both as a couple, but most certainly by profession, in a manner that allows the reader to see Garrett's medical knowledge. The reader can see that Garrett is not a damsel in distress throughout the majority of the book – not only will she protect herself, she is driven to care for others. The depth in which the author goes to show the medical limitations of the time, some readers may be drawn to skim this portion – however, I was intrigued by both the medical angle, as well as how women in Garrett's profession were treated. There is a small side cast of characters, which I'm sure are past narrators. However, the reader gets to meet West, who most certainly will be the hero of the next installment. I enjoyed him immensely, and all the foreshadowing made me hungry from West's book. My favorite part of the entire novel was the instant familial connection Ransom and West shared. Their interplay was amusing and heartwarming. It was as if West brought out another side to Ransom – a sarcastic and witty side that brought levity to an otherwise darker novel, and this transferred over into how they both interacted with Garrett. Here are two quotes from the beginning of the novel that had me thoroughly entertained, and will also give a glimpse into Garrett's character. You've been all work and no play for much too long. And then one night a mysterious and handsome man appears out of the shadows, fending off attackers on your behalf–"
"That part was annoying," Garrett interrupted. "I was doing quite well at being my own hero until he jumped in." Helen's lips curved. "Still... it must have been a little flattering." "This man is a patient," Garrett told the cookmaid, removing the posy of violets from the buttonhole of her walking jacket before handing the garment to her. "I've brought him here for a consultation – please see that we're not disturbed." "Consultation for what?" the maid asked slyly, her gaze traveling from Ethan's head to his toes, and back up again. "'E don't look all that peaked to me." Garrett's brows lowered. "You know better than to comment on a patient's appearance." Leaning toward her, the cookmaid said in a stage whisper, "I meant to say I 'opes you can do something for this poor, sickly wreck of a man." Ever since the Downton Abbey TV show, I’ve developed a new appreciation for historical romances. So, it comes as no surprise to anyone that Lisa Kleypas is hands down one of my favorite historical romance authors! 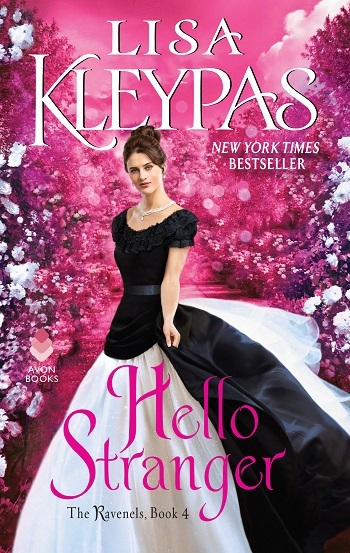 Although, I don’t read very many historical romances, but Kleypas always has a way of sucking me into the beauty of ball gowns, corsets, and handsome suitors. I’m especially fond of her Wallflower and Hathaway series, which made reading The Ravenels a no brainer. Hello Stranger is the fourth installment in The Ravenels series. 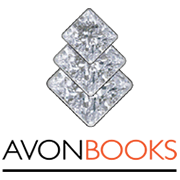 These books can all be read together or as a standalone. Having read the three previous books, I personally enjoyed reading them in order, but they’re not necessary to enjoy Hello Stranger. Honestly, I wasn’t sure how much I’d like Hello Stranger, but I ended up loving Dr. Garett Gibson and Ethan Ransom’s story more than I thought I would! Garett is such a strong independent woman and I easily found myself falling for Ethan’s character! Plus, together they were the perfect match for one another. Also, I always appreciate how previous characters pop back up throughout the series! I just can’t get enough of the whole Ravenel family and I can’t wait to see what Kleypas has in store for us next! Five stars for Hello Stranger by Lisa Kleypas! I’ll be counting down the months for her to once again take me back to the streets of London in the Victorian era! Reviewers on the Wicked Reads Review Team were provided a free copy of Hello Stranger (The Ravenels #4) by Lisa Kleypas to read and review for this tour.